A site devoted to the life and work of artist Paul Feeley, who lived from 1910-1966. I designed this web page to offer a virtual gallery and some related background on an artist who headed Bennington College during the 1950s and 1960s and who led the rise of the avant-garde movement in that community. A teacher of artist Helen Frankenthaler, a friend of Clement Greenberg, a supposed "member" of the Greenberg School of Green Mountain Boys, including Anthony Caro, Ken Noland, and Jules Olitski, this page is one of the few places where people can see a substantial amount of Feeley's own work and see for themselves his passion, relevance, and independence. 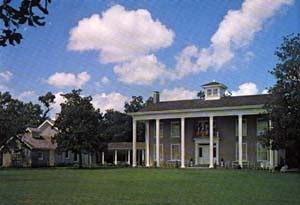 Part of my work for Varner-Hogg Plantation State Historical Park was to establish a new interpretive tour for the park. This link provides a suggested virtual tour for the park site.